Rising demand for primary care, due to aging, population growth, and expanded health insurance coverage under the affordable care act, places additional pressure on an overburdened health care system. By permitting nurse practitioners to practice to the full extent of their training, Washington State seeks to optimize its existing primary care activity and increase access to care to residents in underserved rural areas. 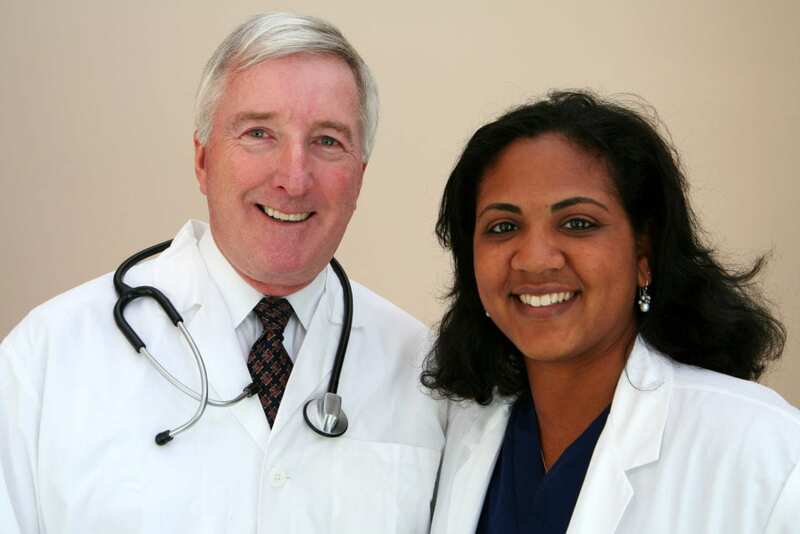 Full practice authority in Washington gives nurse practitioners the freedom to evaluate, diagnose, initiate, and manage the treatment of patients. By applying for prescriptive authority, which requires candidates to complete a course in pharmacology, ARNPs are able to prescribe medications based solely on the licensure authority of the Nursing Commission. Unlike other states where practice is restricted or reduced, Washington’s ARNPs do not require a physician’s supervision but are free to consult and refer patients to physicians and other health care professionals based on need. Apart from clinical care, ARNPs also promote health and counsel patients on disease prevention. They may be Nurse Practitioners, Certified Registered Nurse Anesthetists, or Certified Nurse Midwives and work primarily in hospitals, urgent care clinics, ambulatory care, long-term care and emergency room. To practice at this advanced level, you must have a master’s or doctoral degree in nursing and be certified in your area of specialty by a national certifying organization. The master’s of science in nursing program targets nurses with an associate’s degree or bachelor’s degree in nursing who want to earn an advanced nursing degree. Flexible online learning formats make it possible for RNs to excel in practice while they prepare for a career in leadership, family practice, education, or another specialized position. Graduates are skilled, competent nurses who are prepared to pursue excellence and professional development in nursing through their commitment to lifelong learning. They will lead change to improve health care outcomes within the system, interpret research to provide evidence-based practice, and function as collaborative partners within the health care team. The duration of the program will depend on the entry point. Registered nurses with an associate’s degree or diploma in nursing or individuals with a non-nursing bachelor’s degree can earn the MSN degree faster by enrolling in the RN-MSN program. The curriculum requires approximately 60 credits to complete the degree and takes less time than completing a bachelor’s and master’s degree separately. Depending on the area of study, graduates will be eligible to apply for a national certifying exam to practice in their specialty. The national certifying exam is computer-based and will contain 200 or more questions. Washington State licenses advanced practice nurses in three major roles: Nurse Practitioner (NP), Certified Nurse Midwife (CNM), and Certified Registered Nurse Anesthetist (CRNA). Washington State does not license Clinical Nurse Specialists (CNS). The student must complete a course in pharmacology to apply for prescriptive authority. RN to MSN: The RN to MSN program may be offered as an online course. It is designed for registered nurses who are seeking to enhance their careers. Students will complete the bachelor’s degree coursework and at the same time earn a master’s degree. The applicant must possess an associate’s degree or diploma in nursing and hold an unencumbered license to practice as an RN. Part-time study requires a commitment of at least 20 hours per week. Graduates will have the competencies to pass a national certification exam in their area of specialty. Direct Entry MSN: The traditional MSN program is designed for professionals who hold a bachelor’s degree and wish to further their skills within the field of nursing. The areas of specialty within the program will vary by university, and may include nurse educator, nursing leadership and management, family nurse practitioner and others. Each area of specialty has a distinct objective although the overall theme remains the same: to develop interdisciplinary teamwork and communication skills across health settings and systems. Post-Master’s Certificate: The post-msn certificate affords nursing professionals who already hold a master’s degree the opportunity to specialize further in the field or change their specialty altogether. The program is mostly delivered online, with a few on-campus experiences. The curriculum will include an array of didactic and clinical experiences related to the focus area to develop students’ ability to recognize and manage issues within that area of health care. The program may be completed in three to six semesters depending on the specialty. The versatile online-based format of MSN programs lets professional nurses continue their education while working. While flexibility may be the objective of the program, a rigorous curriculum including an extensive clinical experience comprising of 700 or more hours will require some commitment and adjustment in the student’s schedule. A bachelor’s degree in nursing from an accredited a program. Students who do not have a bachelor’s degree in nursing may enroll in the RN-MSN program if they hold a license to practice as an RN and/or a bachelor’s degree in a non-nursing field. A grade C or above in undergraduate statistics. Admission to an MSN may be based on availability of space although enrollment is typically not competitive. It is important to complete the statistics course and meet the other requirements before applying. Advanced Registered Nurse Practitioners in Washington fall under the jurisdiction of the Nursing Care Quality Assurance Commission, a division of the Washington Department of Health (DOH). The title, ARNP, covers the three advanced nursing roles: Nurse Practitioner (NP), Certified Nurse Midwife (CNM), and Certified Registered Nurse Anesthetist (CRNA). Washington State does not license Clinical Nurse Specialists (CNS). ARNPs must hold a license to practice as a registered nurse. Since Washington is not part of the Nurse License Compact, licenses issued are valid for practice within the state only. Complete the application clearly in blue or black ink. Submit the application fee of $92. Select the appropriate box if you are a spouse of registered domestic partner of military personnel. Fill out the demographic information accurately, including your legal name, birth date, social security number, address, birth place, phone numbers, emails. If you answer “yes” to any of the personal data questions, you must provide certified documentation referencing the question. Your application will be considered incomplete without the accompanying certified documents. Include details of your current or completed nursing education making sure to list the degree earned. You’ll need to provide official transcripts of your education sent directly from the college or university to the Nursing Commission. Provide details of your national certification – whether you are nationally certified in your area of specialty or currently registered for a board approved national exam. Proof of national certification must be sent directly from the certifying body. If applying for prescriptive authority, include the initialed and dated attestation with the application. Details of pharmacology education must be included if applying for prescriptive authority. Attest to completing the required seven hours of AIDS educaton, may be completed as a self-study, direct patient care, or within the formal nursing program. Sign and date the application attesting that you read and understood the section. Provide proof of employment of at least 250 hours of advanced nursing practice within the last two years. You do not need to provide proof of employment if you graduated less than one year prior to applying. Acceptable forms of employment verification include a letter from employer on appropriate letterhead confirming that you completed at least 250 hours of employment, pay stubs with ARNP title that add up to 250 hours within a two-year period, or pay stubs without credential but must include contact and position description. Although the Nursing Commission may send a courtesy renewal reminder by mail, it is your responsibility to ensure your license is renewed on time if you do not receive a notice. The notice will outline instructions for renewal and the documents required for maintaining your license. Licenses must be renewed biennially on your birthday. A copy of your RN license – you may renew your RN and ARNP at the same time. Renewal fee for the license – $96. The RN renewal fee is $101. A late fee of $50 applies if you attempt renewal after the license expires. The Commission does not issue hard copies of the license. However, you can use the Provider Credential Search to confirm your license status and provide verification to your employer or client that your license is current. For each renewal cycle, you must practice at least 250 hours in your specialty area and attest to the completion of this minimum requirement for each biennial cycle to renew your license. Renewing a license requires the completion of at least 30 continuing education hours in your area of specialty for each biennial period. For prescriptive authority, you’ll need an additional 15 hours of pharmacology continuing education for the two-year period. Provide a completed Attestation of Continuing Education with your request for renewal.